Another month with lots happening, kicking off with the AGM, on 2nd February. Now, many folks avoid AGMs like the plague. Such meetings are often thinly attended, quiet and self conscious affairs, with people avoiding the front seats in case they get ‘caught’. Well, not in our club as extra seats were required to ensure over thirty members could sit comfortably around two packed tables. The offer by the committee to stand for re-election (with the exception of Wendy who is not available due to business pressures) was warmly accepted by the membership. So, the Committee say “Thanks for your support and we will carry on with the development of the club”. Now, how many clubs can support two events on the same day? Not many, I bet. But we can, because we are a growing, vibrant club! 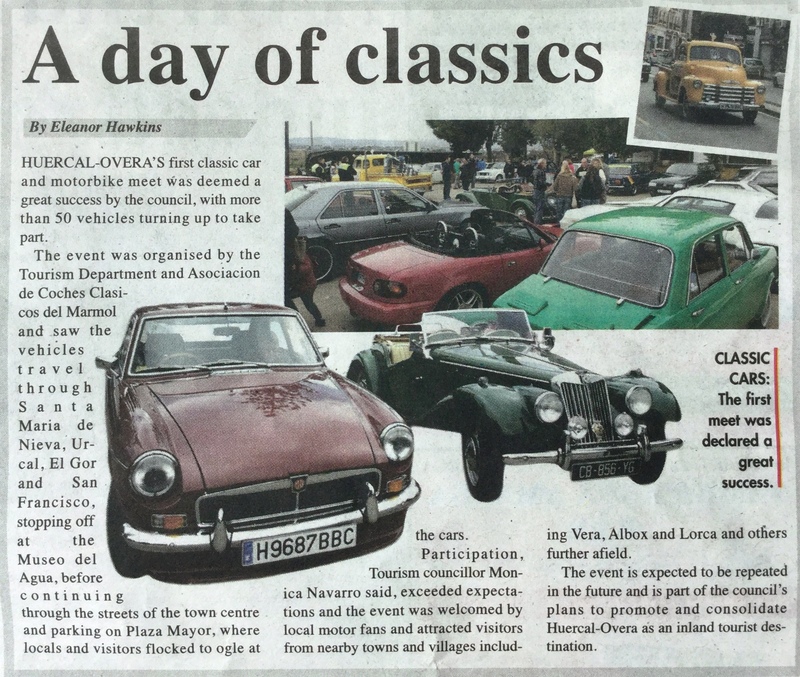 So it was, on 19th February, when nearly thirty members and their classics set off for the monthly run (organised by David and Sue), from Huercal Overa, for a run to the hills, having coffee at Velez Rubio, then returning through almond blossom and past windmills, for lunch at Las Norias. Meanwhile, down on Vera Playa, another group of club members assembled with the 950 Club for their monthly classic car meet, which this month coincided with the charity event in aid of Leo the Lion: a small boy requiring an urgent operation. A chance to support a good cause and promote the club! Then, drawing the month to a close, it was time for our first Saturday morning event of the year, on 25th February. An early start maybe, but fifteen ‘get up early types’ had a great visit to Albox Storage Solutions, where we were welcomed by owners Steve and Amanda for a talk about their business and a chance to see and hear about their many interesting projects. Then it was off to La Vida for a slap up lunch! Right, time to clean wheel arches. See you next month. Why anti-freeze is an ‘all year round thing’. Anti-freeze does more than ‘what is says on the tin’. It’s an anti-corrosive too. Get it wrong and trouble is around the corner. Traditional blue ethylene glycol is toxic but a highly effective antifreeze; it contains silicates as an inhibitor to help prevent corrosion in engines with mixed metals in their makeup. Bluecol and Blue Star are well known brand names, both are declared suitable for ‘classic cars’ on their company websites. Propylene glycol is another well-known and less toxic antifreeze formula and usually contains silicates. Recently, problems have been reported concerning the use of antifreeze mixtures using organic acid technology (OAT). OAT was introduced in the mid-1990s and the products are biodegradable, recyclable, do not contain either silicates or phosphates and are designed to be longer lasting. 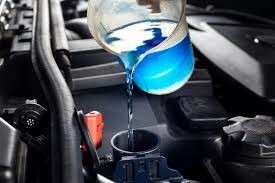 However, these products do seem to cause problems in older engines. Over and above the ability of antifreeze to find the smallest crevice and leak, OAT antifreezes have been accused of destroying seals and gaskets and causing a great deal of damage in ‘old’ engines. For this reason, the manufacturers do not recommend their use in historic vehicles. These products are usually coloured red, pink or orange. 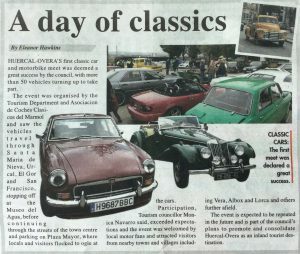 The above article is courtesy of Federation of British Historic Vehicle Clubs (FBHVC). See Classic Chat, November 2016 for more information. The first car auction at SRS will be held on Saturday 25th March 2017. For those of us who enjoy ‘tyre kicking’ (the harmless pastime of looking at cars for sale without a serious intention of making a purchase) a treat is in store! SRS Vehicle Services (www.srsvehicleservices.com), of Los Carasoles near Arboleas, are holding monthly car auctions on the last Saturday on each month. Entries are open to the public at a 0% commission to sellers. So, dust off your Glasses Guide and look like a motor trader. See you there! Guess what? Two members have splashed out on classics, but to whom do they belong? Get the full story in March’s Classic Chat. Ruby, Barry Dennis’ MGBGT was snapped by EWN when she was ‘out on the town’ with other fillies at the classic car meeting in Huercal Overa on 29th January. Also, enjoying the limelight was Joel Darget’s MG TF. Many other club members attended. Press cutting from Euro Weekly News via Barry Dennis. Words by Paul Gough. Driving with a UK Licence. Hi, before I go onto pastures new and leave the blog in other capable hands. I thought I would post this, that I came across on the NN32 site. Self Explanatory-and informative. Thank you to all that contributed to the blog over the last year. We are constantly being asked to clarify the situation regarding driving with a UK licence whilst in Spain, amid conflicting reports and rumour, and so we thought it prudent to share with you the official guidelines as dictated by the DGT. 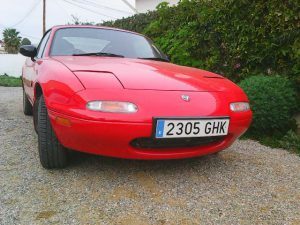 Firstly, let us say that if you are a resident in Spain, that is to say you spend more time living in this country than another, it makes sense to change your licence to a Spanish one anyway, as this then links to your personal details on the computers accessed by traffic police, and so, in the event of getting stopped, you can be on your way far quicker. Similarly, if you happen to have been fined, you don´t have to pay the fine on the spot if you have a valid Spanish licence.Secondly, it is a lot easier to exchange your licence these days. Many clinics which handle the medical examination will also do the administration for you at the same time. All you have to do is present yourself for your appointment, with your licence, and they will complete all of the paper work, sending it to the traffic department, and even chasing it on your behalf if it doesn´t arrive back in time. They even issue the temporary driving permit. In order to check this, you must look at the BACK of the licence, where you will see the expiration dates for each of the categories. If you are not a resident, on holiday for example, you cannot be fined for driving with a valid UK licence, however there are some circumstances where an officer might doubt that you are in fact on holiday. 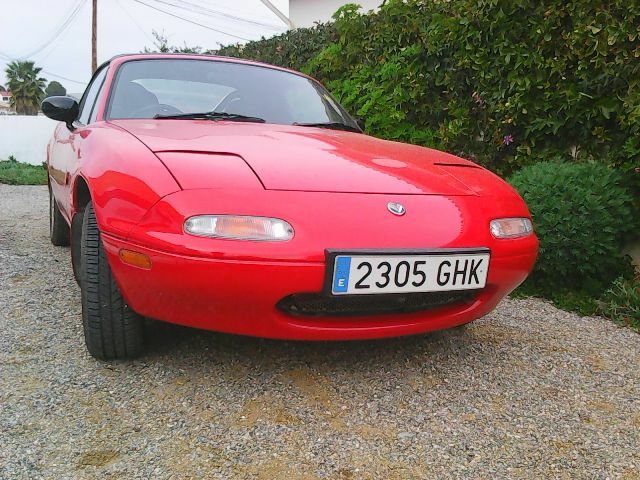 For example, if is perfectly legal for you to own a holiday home in Spain, and even a Spanish car to use whilst you are here, but that might make it appear that you are a resident driving on a UK licence. The solution to this is simple, you can get an EX-15 form from the National Police, also available to download from n332.es/documents, complete the form and take it to be certified by the police and that then serves as a certificate of non-residency.